Melisa Sidhu has been working in the field of podiatry for a number of years. She has a varied working career which ranged from people oriented services to academic professions. These life experiences have included working in hospitality, retail sales, massage therapy and teaching in Tokyo (Japan) for 4 years. Her first academic achievement was to graduate with a Bachelor of Science (honour) degree at the University of Adelaide in 1990. Her major study was in the field of molecular biology. This provided her with the opportunity to live in the USA where she was awarded a Visiting Research Associate Position within the University of Huntsville. She graduated with a Bachelor of Podiatry degree from the University of South Australia in 2003. She has worked in both the public and private healthcare sectors. Her continuing professional development keeps her up to date with Podiatry and Podiatric surgery. Melisa travels nationally and internationally to maintain her professional development from a worldwide perspective. She strongly believes in a well- rounded approach to treating her patients. She is thorough and detailed in her work. 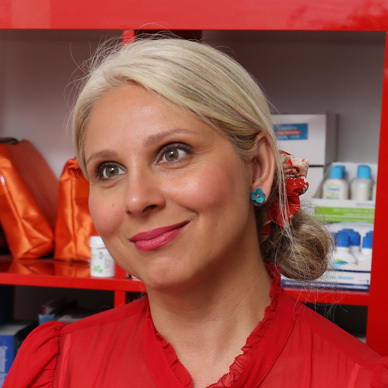 Melisa believes in educating her patients in a clear and simplistic way for better self-management and prevention of foot and ankle complications. She has been described as being warm and empathetic to her patients with a down to earth, yet professional attitude in her delivery of service. Melisa strives to create an ongoing trusting and wholesome relationship with her patients and has achieved this throughout her working career.